Maritime work can be treacherous – large equipment, enormous ships, and rapidly changing weather conditions. All of these variables lead to risk and danger of injuries. 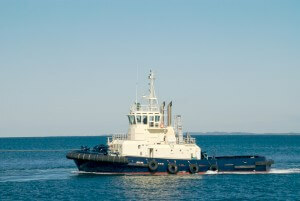 After an accident, maritime employees often ask – what are offshore workers rights after an injury? While each accident is unique to the circumstances that caused it, all offshore workers have the same rights after an injury. Richard J. Plezia & Associates fight for the legal rights of offshore workers, holding your employer accountable for any negligence that led to your accident. The Right to a Maritime Attorney. After your offshore accident, you have every right to contact the maritime attorneys at Rick Plezia & Associates. An experienced Texas offshore injury lawyer will focus on your injury and on holding the responsible parties accountable for their negligence. The Right to Medical Care. Offshore workers rights after an injury also include visiting the doctor and hospital of your choosing. Some employers will encourage making appointments with a maritime affiliated medical team. Don’t be pressured by your supervisor to see the company doctor. The Right to Have Medical Bills Paid. The Jones Act and the Longshore and Harbor Workers Compensation Act detail the circumstances for recouping money needed to pay medical bills after a maritime injury. This can be a complicated process and our maritime attorneys have the necessary experience and legal skills to make your employer pay. The Right Not To Talk. Do not feel obligated to speak about your injury. Many employers will hope you admit partial or even full responsibility and make a quick settlement of your offshore injury case. Our offshore injury attorneys highly recommend that you refrain from discussing your claim with your boss, coworkers, company attorneys, or insurance adjusters. Our lawyers can work with you to safely handle all communication with the negligent party. The Right to Recover. You are a valued employee and crewmember, and your boss may attempt to push your recovery. They want you back at work to resume your duties, but you should not do so until you are ready. The doctors and rehabilitation specialists that assist in your recovery will let you know when to return to work. Your physician’s release should govern your return, not pressure from your company. The Texas offshore injury lawyers at Richard J. Plezia & Associates know the importance of protecting your legal rights. After an injury, your focus needs to be on a full physical recovery. Let our Houston maritime law lawyers handle the communication with your company and the investigation of your case, while you focus on healing.